Duchess Kate, who is due to welcome her first child next month, is planning a natural birth after it was announced by the Palace. Duchess Kate travels to the event in a carriage with Duchess Camilla and Prince Harry at Trooping of the Colour today. Duchess Kate will crack a bottle as she will name a ship weeks before her baby is due. Duchess Kate attends the Queen’s annual tea party for second year at Buckingham Palace. Duchess Kate, who is nearly seven months pregnant, reportedly rocked the dancefloor at the weekend with husband Prince William at a friend’s wedding in Oxfordshire. Duchess Kate attends the event at the Naomi House Children’s Hospice in Hampshire to mark Children’s Hospice Week. Duchess Kate wears Topshop dress, which is sold out within an hour that she was spotted visiting the film studios. Duchess Kate dresses the royal bump in a bespoke powder blue 50s style Emilia Wickstead cocktail dress when she visits the National Portrait Gallery. Duchess Kate will spend at least first six weeks with her parents after giving birth to a royal baby. Duchess Kate, who has been a regular at the Royal Box in Centre Court in past few years, receives honorary membership of the All England Club. Duchess Kate is getting ready to give birth of a royal baby in July as she won’t be doing public duties for another month. 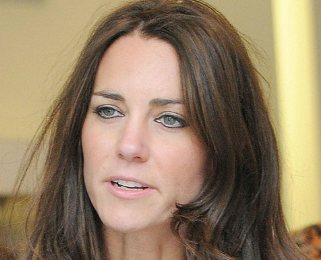 Morrisey, who is an obvious anti-monarch, claims that Duchess Kate is not concerned about the death of her hospital nurse, who became a victim of hoax call controversy.